To claim this profile, please confirm you are Samantha Campbell. To follow this profile, please let us know your relationship to Samantha Campbell. Samantha's lacrosse stats have been updated for the loss @ Buffalo Seminary. The Niagara Falls varsity lacrosse team lost Tuesday's away non-conference game against Buffalo Seminary (Buffalo, NY) by a score of 5-4. Samantha's lacrosse stats have been updated for the loss @ West Seneca West. RESULTLoss Girls varsity lacrosse @ West Seneca West. The Niagara Falls varsity lacrosse team lost Thursday's away conference game against West Seneca West (West Seneca, NY) in a sudden victory after a score of 17-3. RESULTLoss Girls varsity lacrosse vs. Hamburg. The Niagara Falls varsity lacrosse team lost Wednesday's home conference game against Hamburg (NY) by a score of 19-3. The Niagara Falls varsity lacrosse team won Friday's home non-conference game against Villa Maria Academy (Erie, PA) by a score of 11-7. The Niagara Falls varsity lacrosse team lost Thursday's home non-conference game against St. Mary's (Lancaster, NY) by a score of 10-6. RESULTLoss Girls varsity lacrosse vs. Lockport. The Niagara Falls varsity lacrosse team lost Tuesday's home non-conference game against rival school Lockport (NY) in a sudden victory after a score of 14-8. Samantha has been added to the Niagara Falls girls lacrosse roster. Samantha's basketball stats have been updated for the loss @ Orchard Park. RESULTLoss Girls varsity basketball @ Orchard Park. The Niagara Falls varsity basketball team lost Tuesday's away playoff game against Orchard Park (NY) by a score of 63-41. 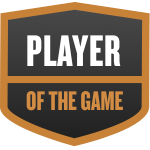 Samantha was selected the Player of the Game in the basketball game against Charter School for Applied Tech on Fri, Feb 15 2019. Samantha's basketball stats have been updated for the win @ Charter School for Applied Tech. RESULTWin Girls varsity basketball @ CSAT. The Niagara Falls varsity basketball team won Friday's away conference game against Charter School for Applied Tech (Buffalo, NY) by a score of 62-50. Samantha was tagged in the video "Samantha Campbell's highlights North Tonawanda." Samantha's basketball stats have been updated for the loss @ Niagara-Wheatfield. RESULTLoss Girls varsity basketball @ Niagara-Wheatfield. The Niagara Falls varsity basketball team lost Friday's away conference game against Niagara-Wheatfield (Sanborn, NY) by a score of 42-32. Samantha's basketball stats have been updated for the loss @ Kenmore West. RESULTLoss Girls varsity basketball @ Kenmore West. The Niagara Falls varsity basketball team lost Thursday's away conference game against Kenmore West (Buffalo, NY) by a score of 44-32.